Screw locks for maximum anti‑rotation locking, even under strong vibrations and dynamic loads. 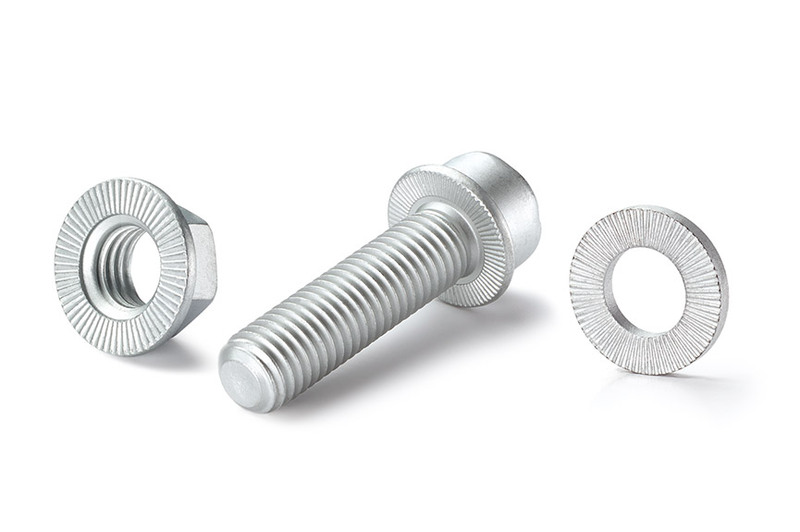 Twin‑Lock screw locking systems effectively prevent threaded connections from working loose. Positive locking instead of friction. Unlike conventional methods, the Twin‑Lock screw locking system utilises the preload force of the joint. For that reason it is superior to conventional screw locking systems. 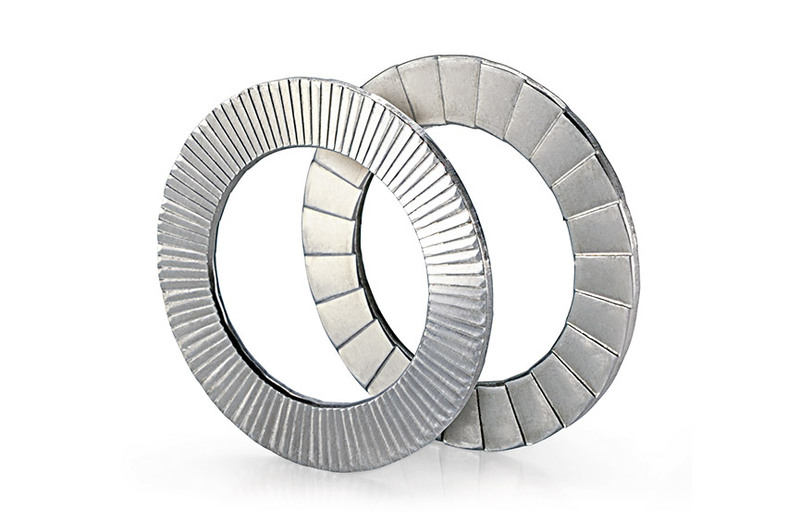 Twin‑Lock consists of two identical wedge‑locking washers, which feature radial cogs on one side and splined cogs on the other side. This leads to an increase in the preload force when the joint is released, efficiently securing the threaded connection even under strong dynamic loads and vibrations. The use of Twin‑Lock washer pairs is recommended wherever there is a risk of threaded connections working loose. 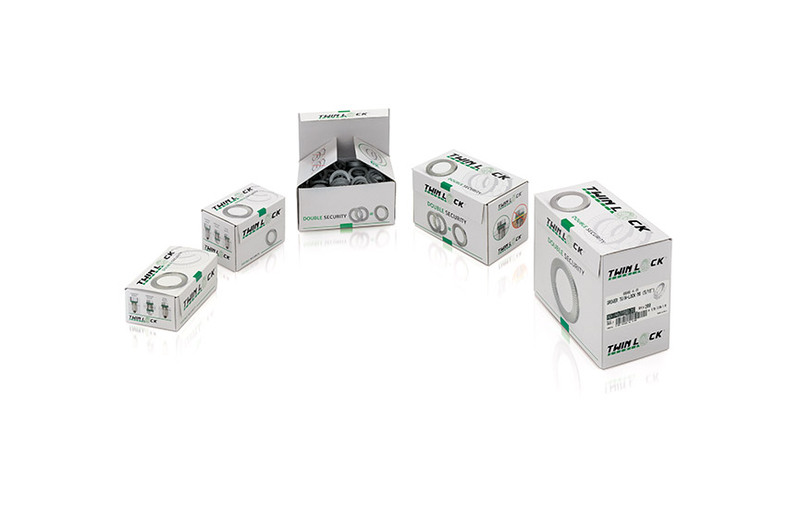 Twin‑Lock provides effective protection even under strong vibrations and dynamic loads. No loosening. Even under strong vibrations and dynamic loads. Pre‑bonded washer pairs prevent errors during initial assembly and are easy to handle. With its high‑quality coating, Twin‑Lock is highly corrosion‑resistant and is completely free from Cr6. When the nut/screw is tightened, the radial external cogs of the Twin‑Lock lock washer press positively into the contact surface. 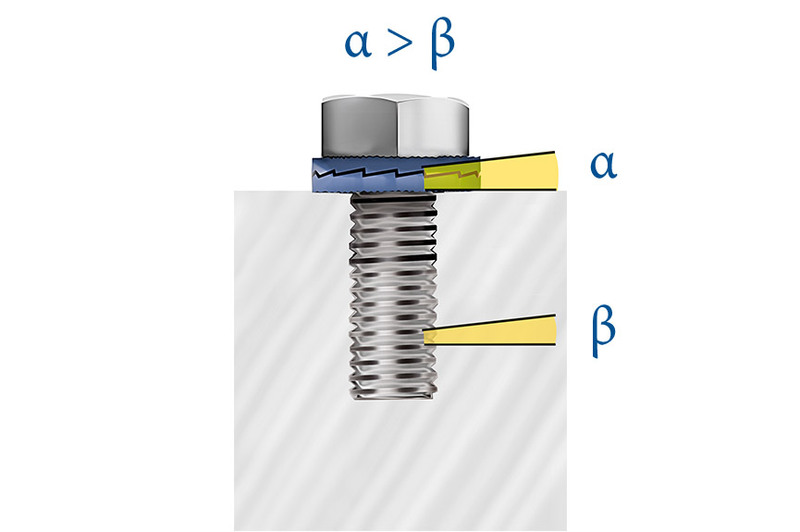 The tilt angle α of the splined cogs is greater than the pitch angle β of the screw thread. Therefore, when the threaded connection is loosened, the preload force initially increases. In addition, the coefficient of friction of the radial cogs on the outer surfaces of the washers is much higher than the coefficient of friction on the inside with the splined cogs. 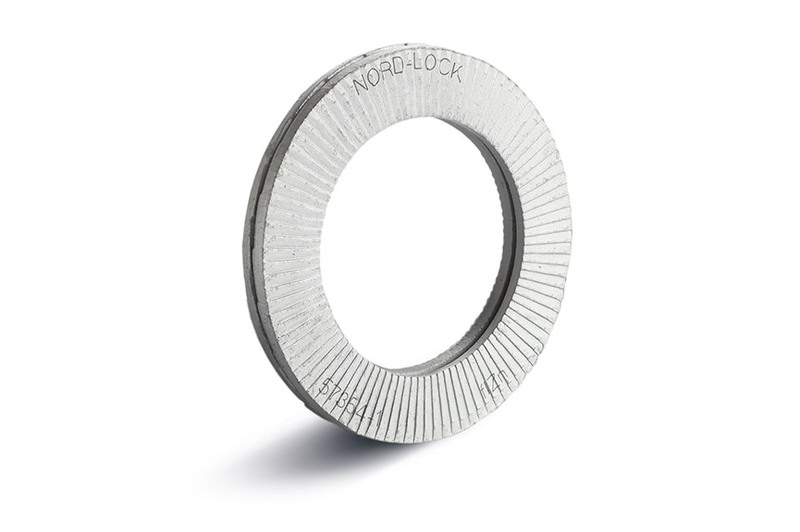 In practice, the combination of the washer pairs results in reliable anti‑rotation locking, even in adverse conditions. Highly versatile. 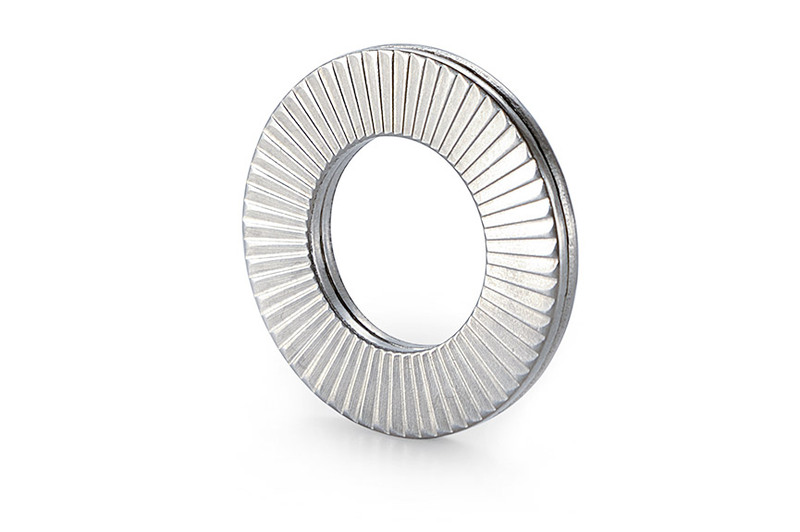 Twin‑Lock washers can be used for screw locking in threaded holes, countersinks and through holes and with studs. 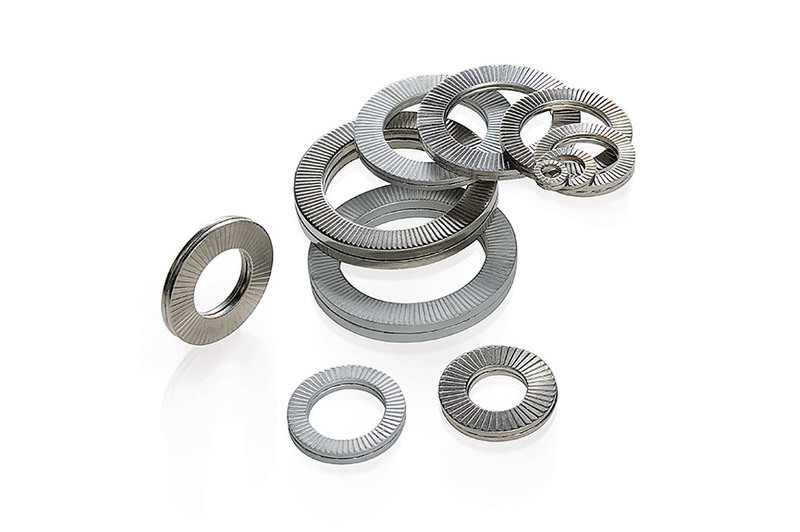 Two pairs of lock washers should be used in through holes. 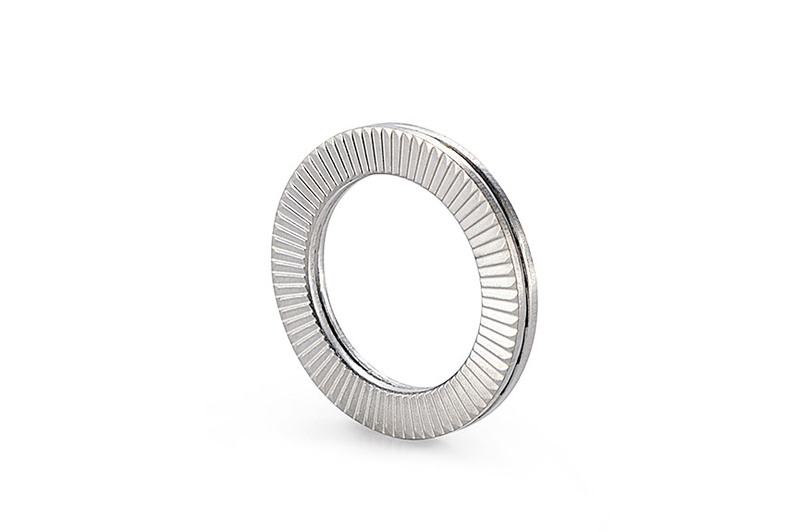 In addition, in slotted holes and for soft mating materials we recommend using Twin‑Lock washers with a large outer diameter. Important: Twin‑Lock must not be used on unsecured washers. Twin‑Lock ensures that the preload is retained in the joint. The diagram below shows the high anti-rotation locking capacity of the washers. 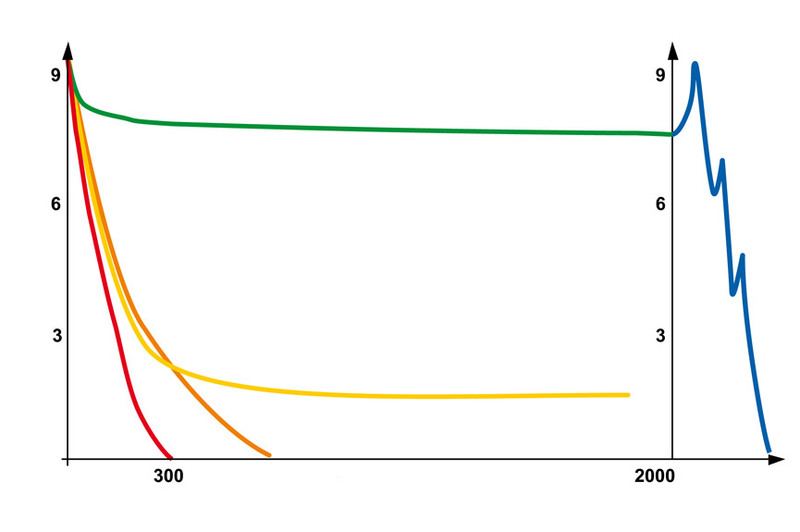 Unlike screws with no locking element (red line), the preload force remains constant over the entire load period. The blue line illustrates the increase in force required to loosen the joint after load changes (click effect). This version is ideal for soft materials and slotted holes.